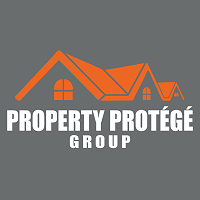 If so, please join us Friday at 6PM at the Property Protege Group hosted by Don DeRosa and Dustin Griffin at Vesado Office, 2203 N Lois Ave, 12th Floor, Suite 1210, Tampa, FL. If you are interested in learning more about the PPG program, we invite our Tampa REIA Members to attend their first Tampa PPG Meeting as our guest at the Vesado Office in Tampa at 6PM so you can check us out. We look forward to seeing you there!